Cheshire Services Ethiopia Job Vacancies 2018-2019: Cheshire Services Ethiopia has recently publish an advertisement notification for Project Officer & Field Supervisor jobs opening for Feb. 2018. Cheshire Services Ethiopia would like to invite qualified candidates for the following position. 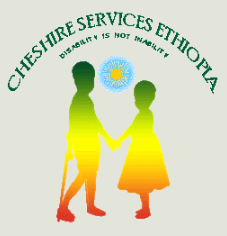 Cheshire Services Ethiopia (CSE) is a legally registered Ethiopian resident charity that has been providing integrated rehabilitation services for children and youth with disabilities in Ethiopia for over five decades (since 1962). The organization has been reregistered as Ethiopian Resident Charity in line with proclamation No 612/2009 and is operating at federal status. Last Date:- 10 days starting from the date of advertisement. Interested applicants should submit his/her updated CV and letter of intent by e-mail to cheshire@cheshireservicesethiopia.org by stating “Application for Field Supervisor Ambo or Debre Birhan-Livelihood” in the subject line. Or in person to Amhara Regional State: North Shoa (Debre Birhan) Zonal Labor and Social Affair Office Human Resource Department and Cheshire Services Ethiopia/CSE Head Office in Addis Ababa, Yeka Sub-city- Woreda 9– Ethiopia Cheshire Building: Gurd Shola in front of Management Institute. NB: Only short listed candidates who meet the requirements will be contacted. 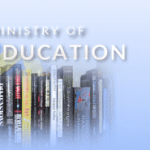 Qualified Women and Persons with disabilities are highly encouraged to apply. Application duration: 10 days starting from the date of advertisement.